The mantle of your fireplace is often an overlooked focal point in your home. While some pay no mind to it, let alone even use it, decorating your fireplace correctly can give it the much-needed flair it’s been missing. 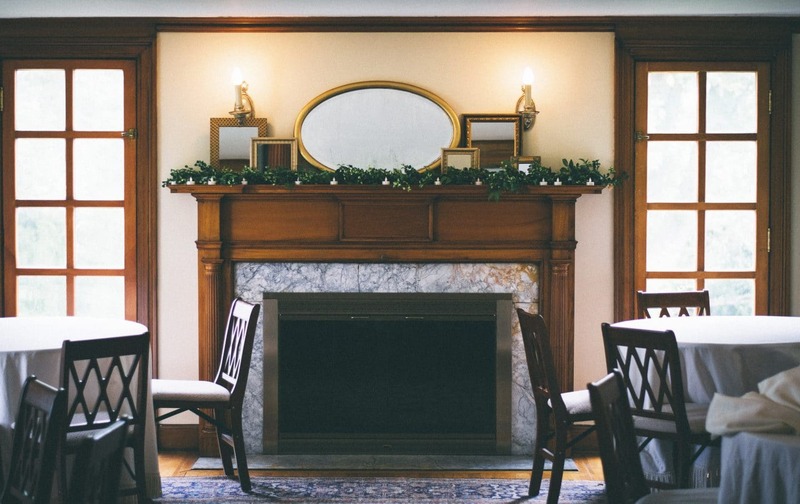 And since the holidays are upon us, your fireplace’s mantle is the perfect stage for setting the season! So, get ready to add some heat to your fireplace, and follow these easy decorating tips! 3 to 1 – This easy design trick will create visual interest to your mantle simply by utilizing & layering objects that are of different heights. The key is to select pieces that are similar in color, texture, or theme. Take three pieces and stagger them to one end of your mantle—avoid lining them up. On the opposite end, select only one piece; usually, this piece is larger than the other three. Layer Up – While there is the “3 to 1” technique, there is also the “Layering Up” technique, too. This trick can be done in two ways. The first way is to select objects that are similar to each other; if you’re a collector, your mantle is the perfect stage to display your pieces, if not, we suggest using candles of varying heights & sizes. Create balance & symmetry on either end of your mantle by playing with the height of each object, and layering each piece. The other way to “Layer Up” on your mantle, is to select larger pieces that are alike to each other, with one main focal point. Be careful not to select pieces that are too “busy” or will clash with one another; simplicity is best with this technique; try utilizing mirrors or frames. Repetition – If your fireplace or room is more of modern style, we suggest utilizing a modern technique: repetition. This technique is simple yet effective. Select pieces that are either all alike (i.e. tealight candleholders) or related, such as pictures that are all of the same color or theme, in matching frames. Rather than stagger/layer each piece, line & space them out evenly. Geometric – Dig-in to your geometry days, and create a mantle that is sure to be pleasing to the eye! A circular mirror/frame hung above a fireplace, will break up the squareness of the fireplace. Repeat the circles in smaller fixtures displayed on the mantle. Incorporate other geometric shapes, such as a collection of books off to the side. This technique can be created with the using modern elements, antique elements, or a combination of both! When it comes to adding flair to your fireplace, it’s important to start with one central piece that will be the main focal point to your mantle (i.e. a mirror or piece of art). Depending on what the piece is and the style of your fireplace & room, select pieces that will complement each & tie the entire look together. Think of your fireplace and mantle like a large triangle that will engage the eye from top to bottom, with visually appealing elements at every level.